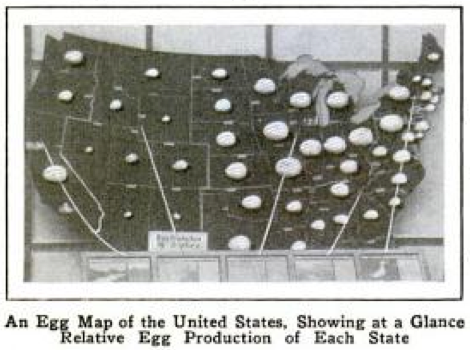 An egg map of the United States, showing at a glance relative egg production of each state, ca. 1931. 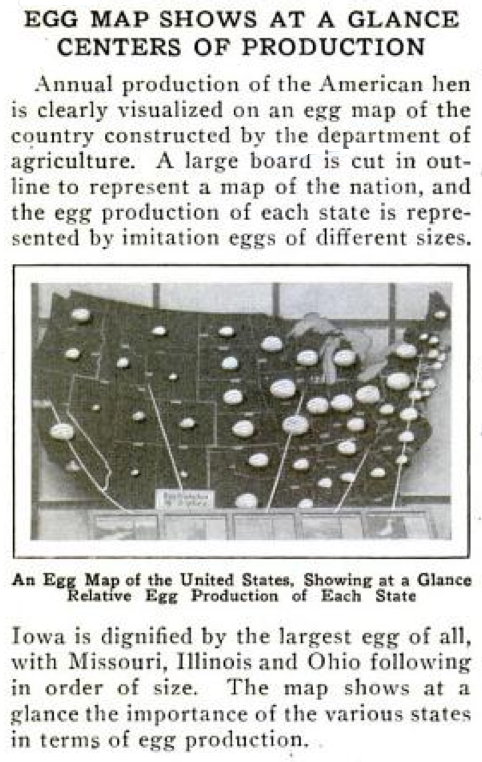 Each state is represented by imitation eggs of different sizes.